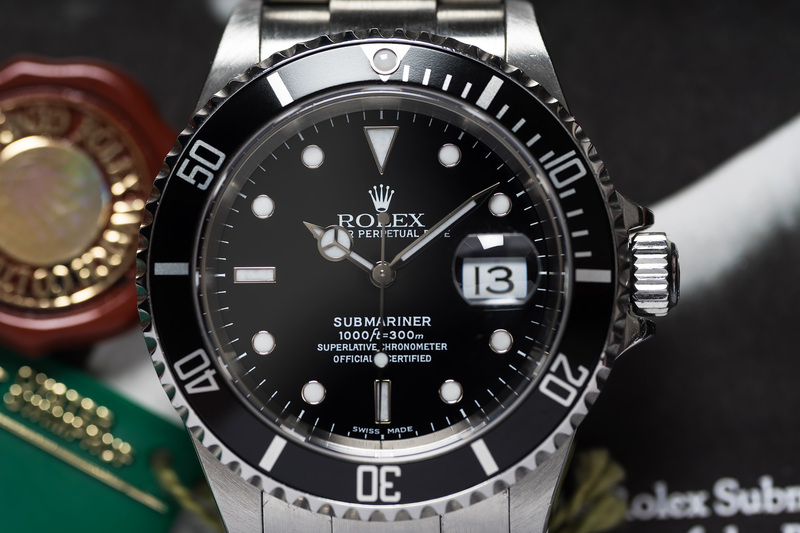 Its the archetype of Dive Watches, its one of Rolex’s most recognizable and successful sports models, its the watch that was worn by international spies and by ‘men who guide the destinies of the world’ You’re looking at the all steel Rolex Submariner! The Submariner was first introduced to the market back in 1953 and quickly became a legend for its robust construction and water resistance capabilities (remember that back in the 50’s, there was no watch like this on the market!). In 1960, when Jacques Piccard and US Navy Lieutenant Don Walsh achieved men’s deepest dive by using a Bathyscaphe called the ‘Trieste’ to reach a depth of nearly 36.000ft! there was also a Rolex prototype present during this deepest dive! It was attached to the exterior of the Trieste, this watch was the very first and then experimental Rolex Deep Sea! 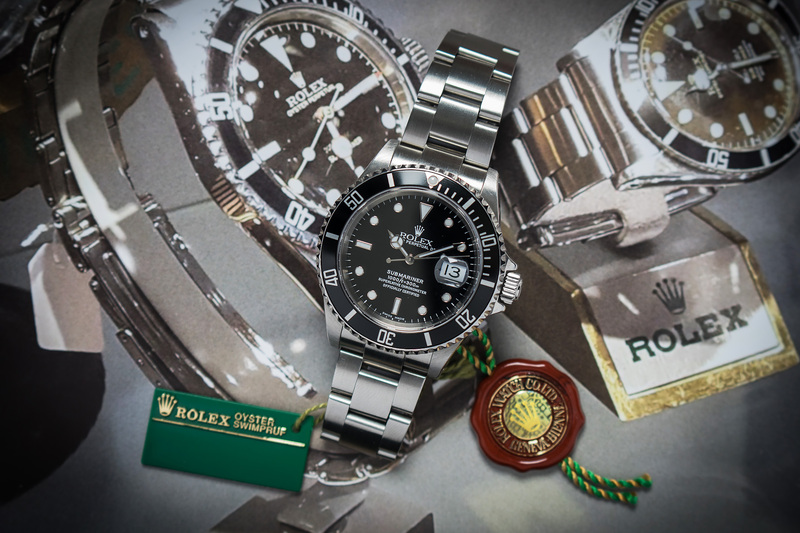 No other watch had ever survived those type of depths before, and from that moment on, the professional divers’ community came to treasure Rolex watches as essential tools of the trade and even helped in their development later on. 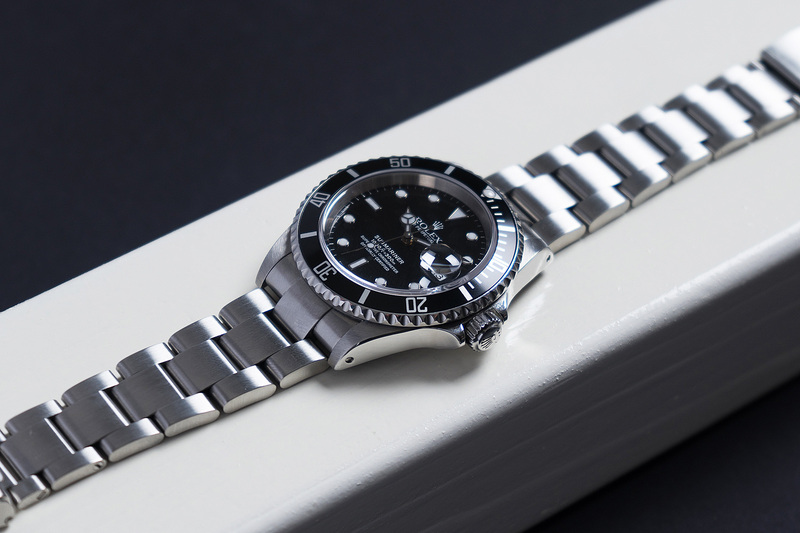 Fast forward to the year 2000, when the Submariner, reference 16610 we’re offering here was sold through one of the Dutch Rolex AD’s – And to be honest, nothing much has really changed since then as the overall appearance and condition of the watch is concerned. 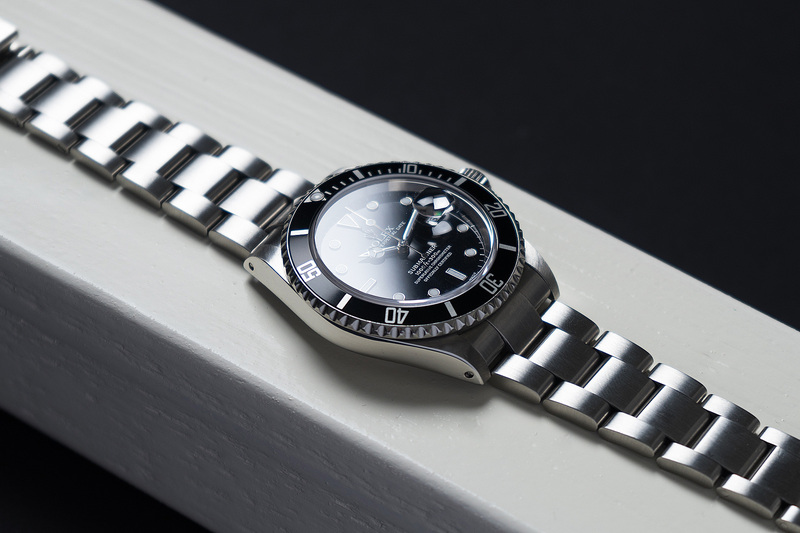 This Submariner is in a truly excellent condition! It features a thick case, a damage free and sharp stainless steel bezel with a spotless black inlay. The 93250 Oyster bracelet is in a like new condition and is as good as stretch free! It’s clear by inspecting the watch up close that it wasn’t worn on a day to day basis and was taken good care of when it was on the wrist. 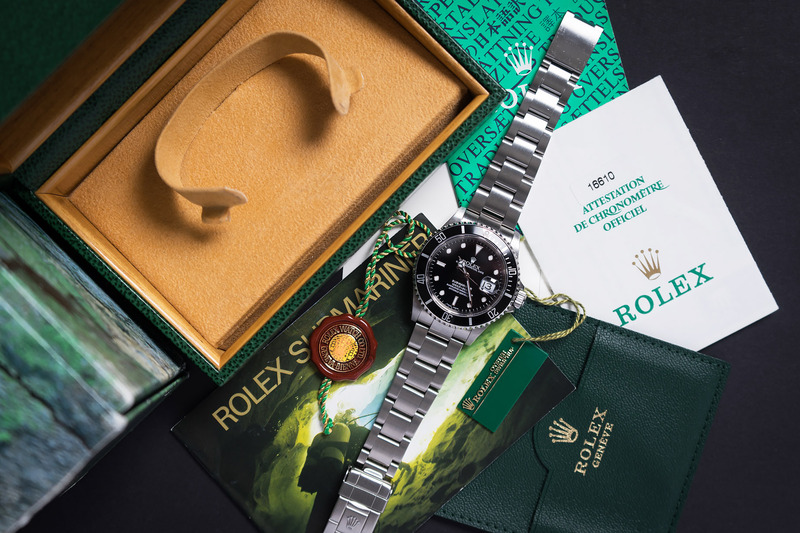 This Rolex Submariner is accompanied by its original inner and outer box, punched warranty (Gassan) its Rolex service and Submariner booklets and the red and green hangtags. If you’ve been looking for a like new ‘older’ Submariner and would like to own one with its original boxes and papers, then now is as good a time as any! 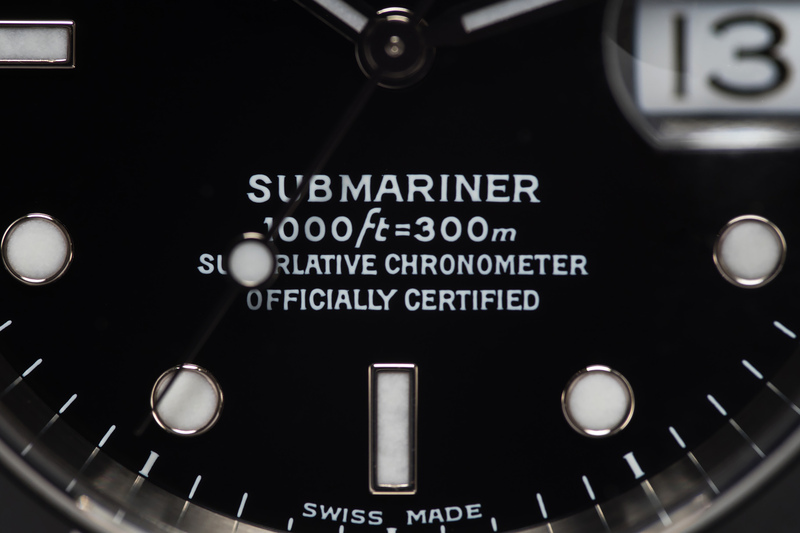 This Submariner was serviced by our watchmakers and will be sold with a twelve month warranty.